For our last official run of the year, we did the Signal Hill loop from Mouille Point lighthouse in reverse. Everyone started out on the same route from the lighthouse and ran/walked up Glengariff Road. At the park we turned left, and after a bit of hill climbing eventually found the path that took us round to the noon day gun. Here we milled around trying to find a way out without going up the steep slope, but in the end we slid our way up the slope along the fence. Some good free running took us around to the Kramat. Here the relaxed group took a right path in front of Lion's Head to join up with the west path round the mountain and found their way back to the top of Glengariff Road. 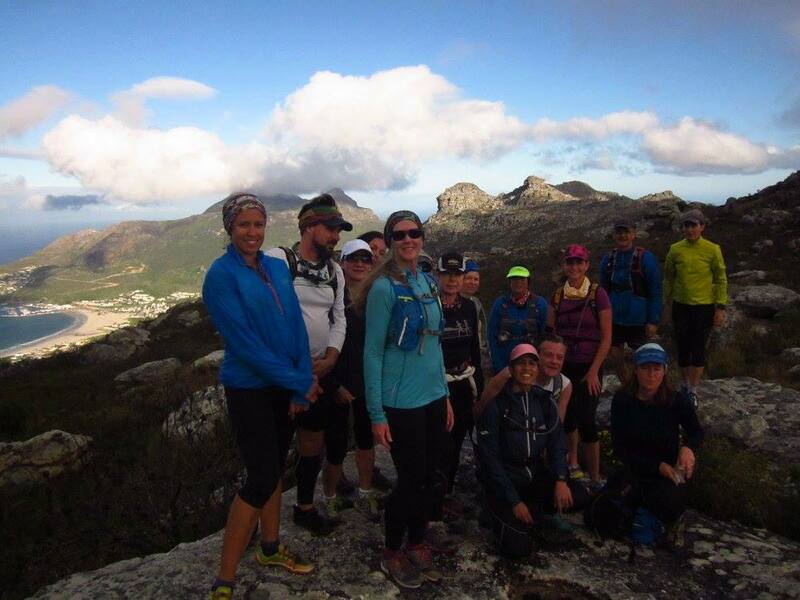 The medium group broke into two groups and both went to Kloof Nek road and round Lion's Head to give them extra distance. The two faster runners did the same at double the speed! The end of the run took us round Green Point Park and back to the cars where we collected picnic stuff and found a good spot under one of the trees in the park to enjoy the camaraderie of the end of year picnic. The predictions of a cold overcast, blustery morning meant that only a small group of trailers arrived to brave the elements. What a wonderful day for running! Those that didn't arrive really missed out. We did the usual Olifantbos route in reverse starting up the stairs and coming back via the beach. The weather was cool and overcast - ideal running weather - and the wind wasn't too bad but was freshening by the time we got back. There were two groups: a medium/fast led by Theo and Lorraine and the relaxed group led by Nora and Marge. The flowers were out in force, the clouds were spectacularly gloomy and the running was good. Sirkelsvlei was absolutely dry. A first for all of us. An ostrich family pecked around the dry vlei bed and a lone bontebok was near the only bit of green. Where did all the terrapins go? Down at the beach, the wind was behind us and sand whipped our legs if we stopped. The tide was coming in so our usual path over the rocks was out of reach and we slogged through the soft sand. The small whale carcass that the medium group found was almost back in the sea by the time the relaxed group went past. Some brave souls were walking into the wind looking for shipwrecks as we neared home. At the Olifantsbos house we decided to take the road back to avoid getting wet on the rocks. A short but scenic run in a pristine environment. Always enjoyable and worth the long drive and getting up really early! The faster group was managed by Gregg, the medium group by Gaeleen and committee and Nora looked after the relaxed group. After a short briefing we split into 3 groups and all followed the cycle track that runs parallel to Rhodes Drive. All groups then ran towards Constantia Neck, doubled back on the jeep track and headed onto the steps of Rooikat ravine, Cecilia waterfall etc. 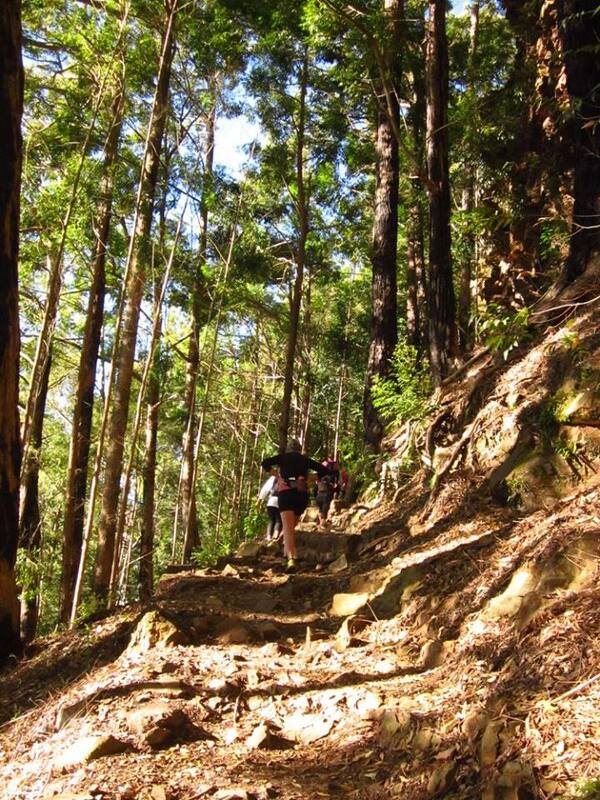 The fast and medium groups ran onto Skeleton gorge before returning and doing another loop in Cecilia forest. The relaxed group return via Cecilia forest to the car park. 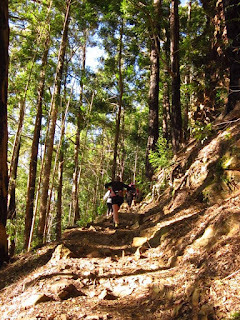 A good mix of jeep track, single track and plenty of stair climbing. The fast and medium groups did about 12.5 km and the relaxed group about 8 km (Peter to confirm). 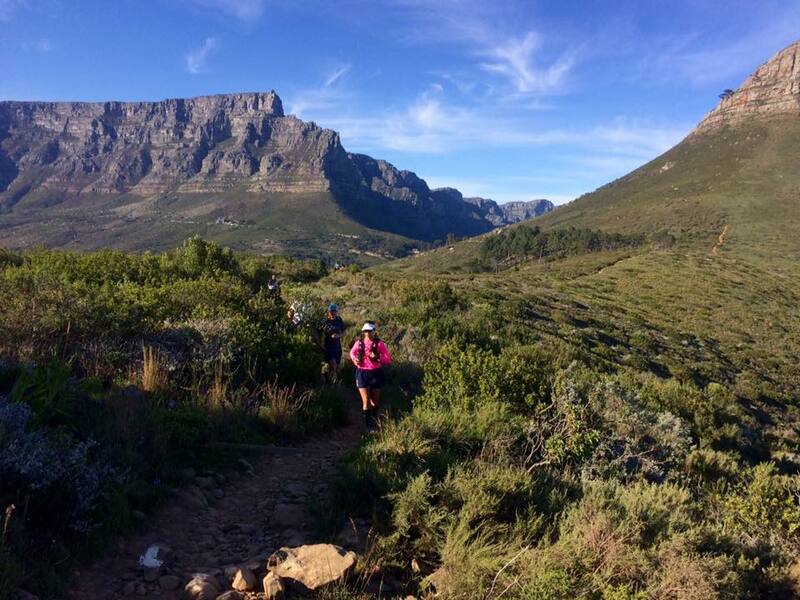 We saw all the markers for the UTCT, but were finished before the runners came through. A beautiful day for running! The regulars were joined by some faces from the past for this run - a definite favourite. 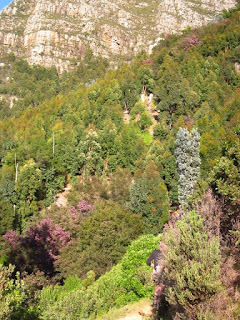 All groups went up the Alphen greenbelt to the crossing into Cecilia Forest. From there various routes were taken to get to the Cecilia Forest parking/Top tap and home via the Diep River greenbelt. 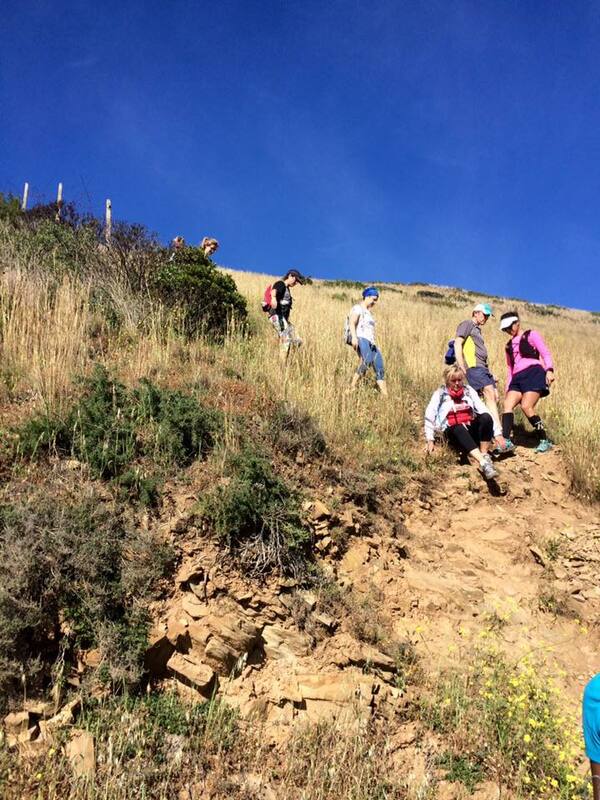 Although the running isn't technical, it is uphill all the way to top tap! The mountain was looking beautiful and the route was shaded and cool. We managed to squeak home before the Park Run started! After everyone got through the gate queue, the 3 groups started out up the River Walk. Gregg led the fast group which eventually split into 2. 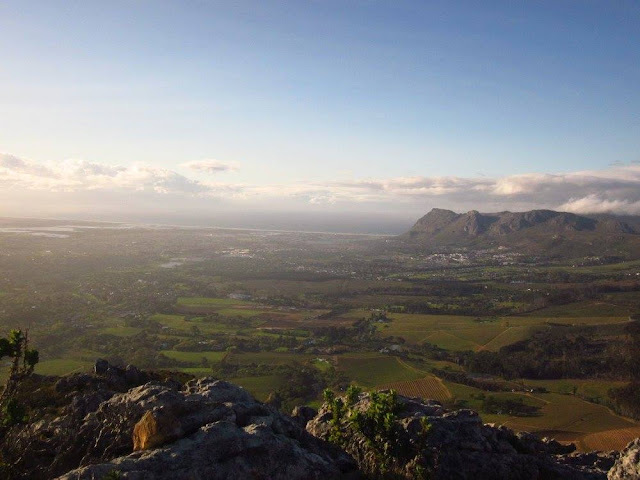 Despite the weather, jackets were shed as we went up and along Steenberg ridge. The medium group also split as some elected to meet us at the Elephants Eye turn off. It was turning out to be wonderful running weather. The medium group met up with the slower fast group on the way to the Elephant's Eye lookout and we all stopped for a group photo. 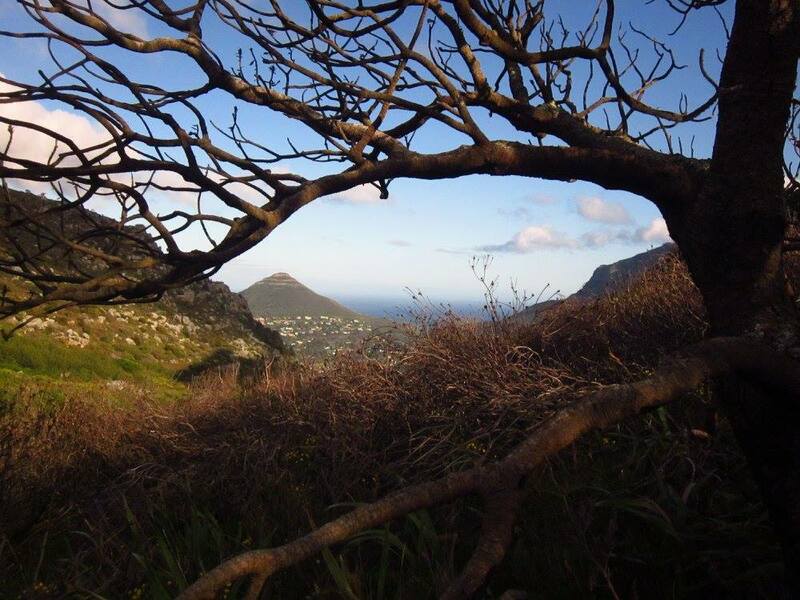 Then it was on to the Hout Bay Lookout. The wind was cold at the Lookout so we didn't stop for long despite the great view. At the Amphitheatre turnoff, people with time constraints went down the zig zags to go home while the rest of us clambered up the ridge. The west side of town was under a thick sea mist as we trawled Theresa Avenue trying to find legal parking spaces. A smallish group of 25 trailers gathered at the start. Paul arrived late and galloped up the hill to find that he and Katya were the only 2 in the fast group. They took off and we didn't see them again! 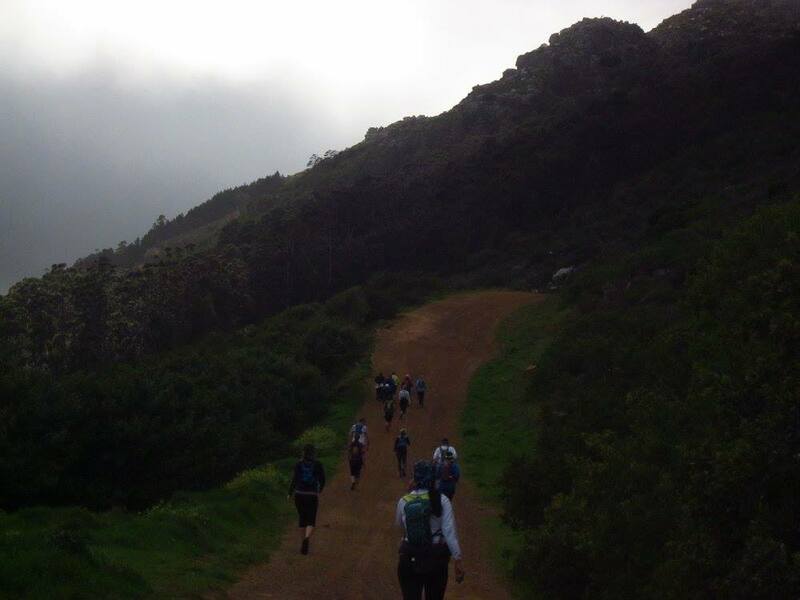 As we trudged slowly up Kasteelpoort, we popped out of the mist into beautiful weather, which just got better! What a stunning route. Trailers haven't explored this part of the mountain often and we marvelled at the Valley of the Red Gods - Lorraine researched the Rudyard Kipling poem containing the phrase - and the Valley of Isolation. Lots of climbing! Just before we reached Echo Valley, those with time constraints turned back picking up some of the Relaxed group on the way. 4 of the medium group went off ahead on their own journey and the rest of us went up the ladders to the top of Platteklip and then turned right to Maclear's Beacon - a first for some! After a small celebration and some food, we turned back and went along Echo Valley before retracing our steps home. It was getting hot, but there was still enough flowing water on the mountain for refreshing drinks. A long morning out, but so worth it! That part of the mountain is definitely worth exploring again. Please see our Facebook page for photographs. After the last couple of weeks' mountainous trails, we opted for our flattest route this week. 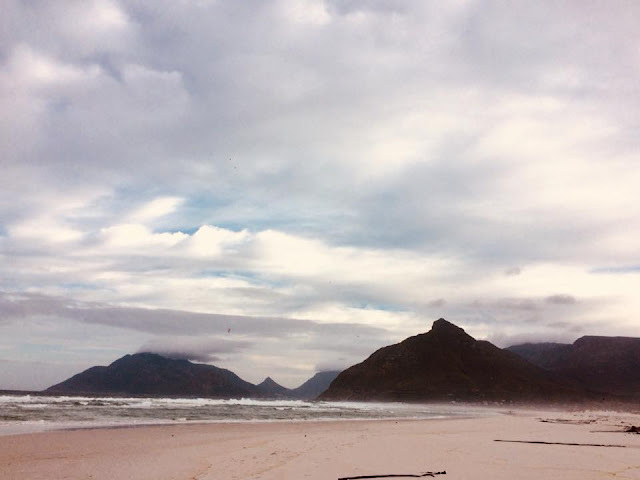 A small group of regulars met at Noordhoek Beach parking lot on a rather overcast but calm day. 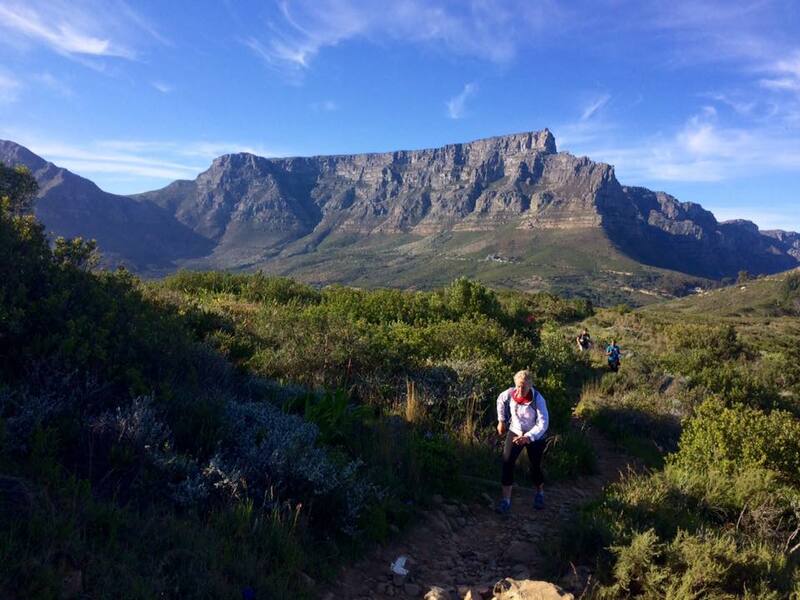 Since the fastest of our usual runners were all otherwise occupied with Trail du Mont Rochelle or the Three Peaks Challenge, the faster few Mediums led the way today, with Neil and Jo hitting a 5:30m/km pace as they approached the mid-way turnaround point. Lots of stretching and Jane Fonda inspired posing followed before we turned and headed back at a more leisurely pace. The two groups met up at the rockiest part of the beach and the colours of the t-shirts were so strikingly colourful against the grey morning that we organised ourselves into a rainbow for a combined group picture. We arrived back at the cars in less than 90 minutes and headed home in plenty of time for Neil to catch the rugby. What a perfect way to start the day!! Views in every direction, sun shining, no wind and the mountain covered in flowers of all colours, shapes and sizes. There were 26 of us altogether who raced up Chappies to Eastfort desperate to get onto that lovely mountain. The fast group took off only to be seen at the end – not sure how far they went but must have been a fair distance as Geoff looked ‘shattered’ when they got back. 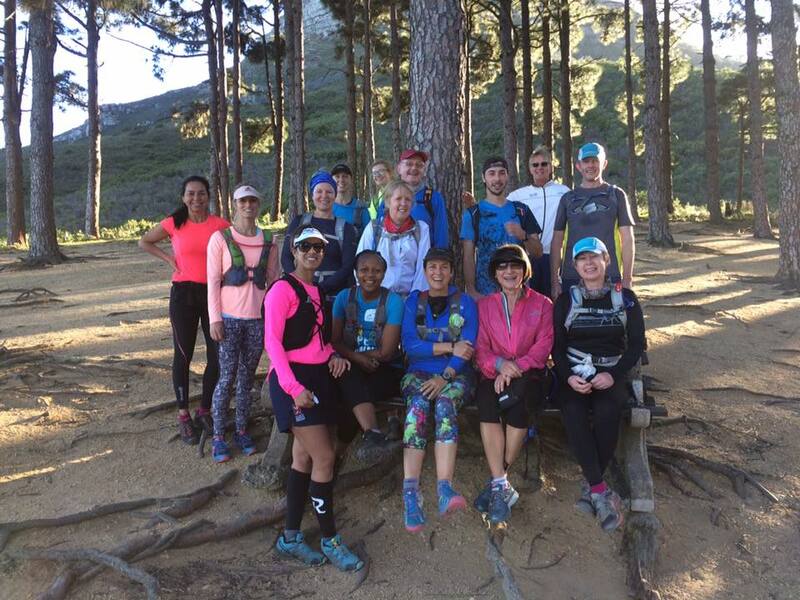 According to Gae medium group ran 12.5km up along ravine and down again and our very relaxed group climbed, walked and jogged about 8.5 km. By all the smiling faces I think everyone had a good time. 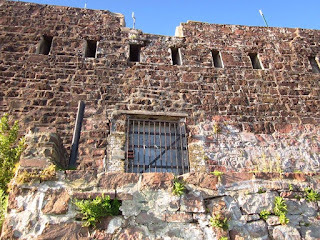 Please see our Facebook page for some great photographs! This Saturday we'll head out on to the back table, around the reservoirs and back via Smuts Track. From the Constantia Nek parking area, immediately left up the steps and onto the concrete road past the Overseer's cottage. A jog past the reservoirs and on to the waterworks museum, before heading back via Smuts Track. RV in the Constantia Nek parking area for the briefing by 6.35 in time start running at 6.45am. Please make sure you confirm your attendance on the register. A good uphill climb on single track and jeep track. More or less 14 km taking in the region of about 3 hours for the Fast group, and about 12 km for the Medium group. Slow group to be confirmed on Friday. Please take note of the longer time for this route. Water (essential), whistle, warm, wind or waterproof top depending on weather. Space blanket and ICE card/details. Please remember to look behind you at every turn in the route to make sure the people behind you see which way you are going. Important: Stay with your group. Front Runners wait for the back of your pack. Sorry - no dogs allowed on TMT runs. Group leaders will be confirmed. 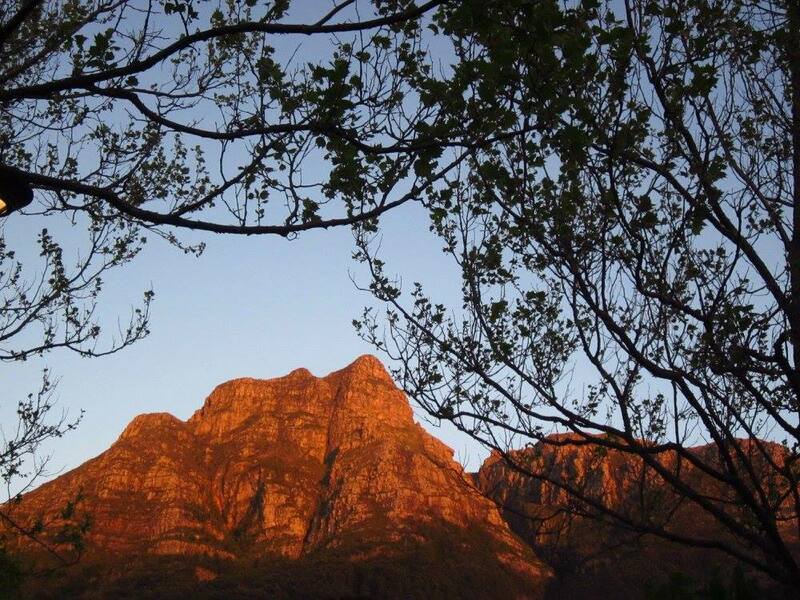 It’s Spring in the Cape Mountains and what a show we have had this year. This week sees us returning to the Kalk Bay Mountains in search of one of the lesser known members of the Orchid family, the Satyrium. Though spotting this little beauty might be difficult at running pace, we should have fun trying. 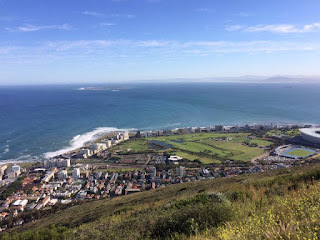 From Kalk Bay Station Up Norman Road, Ponder Road (steps) on to Boyes Drive. Up the stairs next to the Echo Valley Sign. At the T- junction turn Left. Follow the path till Weary Willy’s. The Fast Group heads up Echo Valley onto the Amphitheatre, then along the Crassula Path. At the Jeep Track turn right. Ignore the first single track to your left. Take the second Single track to your left, down into a the small valley and back out the other side. At the next Jeep track turn Right. 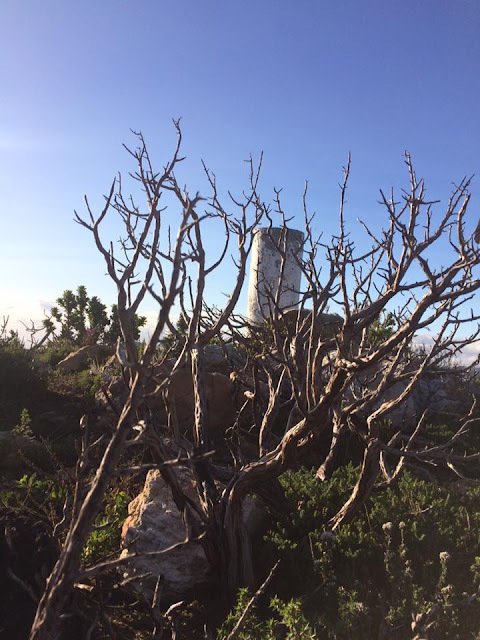 Continue along the Jeep Track to Navy Communication Tower. Pass the tower turn onto the single track leading to the Muizenberg Peak. 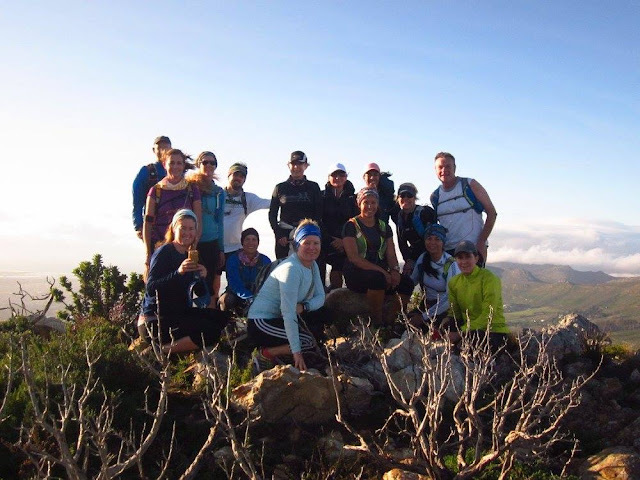 From Muizenberg Peak Head down to the Plateau where the Fast Group meets up with the Medium Group at the top of Peck’s valley. From the top of peck’s valley. The Fast and Medium Groups head onto the plateau. Where the single track ahead becomes faint take the clear sandy path to left. Heading past the Old “Silver” Mine to Saint James Peak. 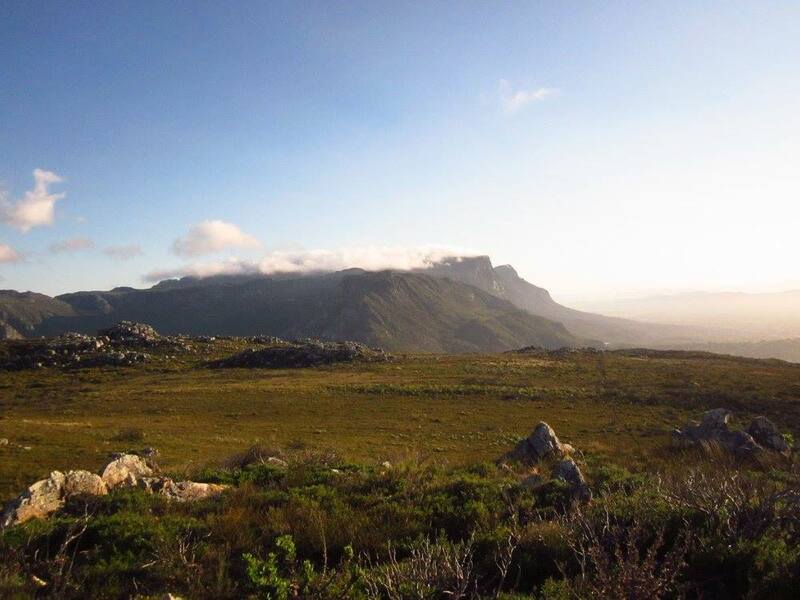 From Saint James Peak head towards Nellie’s Pool. At the Jeep Track turn Left. Short distance then Right on to a single track. Cross the next jeep track passing a stone beacon onto another single track. 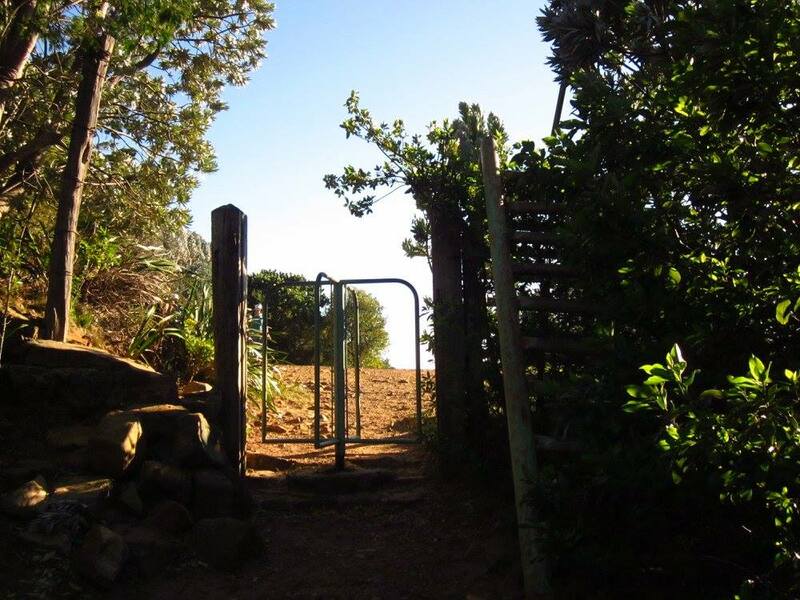 This leads past Tarturus Cave and Kalk Bay Peak. From hear head down Spes Bona Valley and onto Kalk Bay Station. From Weary Willy’s the Mediums head to Ou Kraal. From Ou Kraal they head up to a Jeep track. Following the Jeep track ignoring all turn offs until reaching Junction Pool. From junction pool the mediums follow the jeep track right until passing the Navy communications tower. From here they head to the top of Peck’s Valley where they join up with the Fast Group. To be confirmed on Friday. 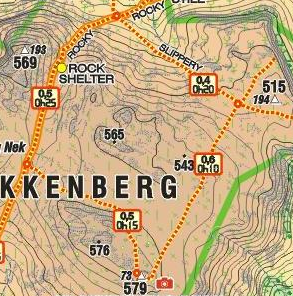 Mix of Sandy/Rocky Single Track, Jeep Track, with lots of hills. This is a pack run with regular regroups, we will split into speed groups with leaders and sweeps on the morning. Water, whistle, warm/windproof top depending on weather. Space blanket (Check it’s condition please) ICE (In Case Of Emergency) ID - bracelet / tag, card in your backpack. Please note K-Way VOB club rules do not permit dogs on our runs. This e-mail contains proprietary and confidential information some or all of which may be legally privileged. It is for the intended recipient only. If an addressing or transmission error has misdirected this e-mail,please notify the author by replying to this e-mail and then deleting same.If you are not the intended recipient you must not use, disclose, distribute, copy, print or rely on this e-mail. Clicks Group Limited, its subsidiaries and associated companies is not liable for the security of information sent by e-mail and accepts no liability of whatsoever nature for any loss, damage or expense resulting, directly or indirectly, from the access of this e-mail or any attachments hereto. A straight forward out and back run along the scenic trail across the North Face of Table Mountain to Devil’s Peak or a little further (Oppelskop path) and return. RV in the upper Kloof Nek parking area at the foot of Tafelberg Rd on your left just after you turn off at the circle. Ready to start at 0645. Drive up Kloof Nek Rd to the traffic circle at the top and follow the signs to the Cable Station. After turning left at the circle onto Tafelberg Rd you will see the parking area on your left, it has two levels, turn left into the upper level. 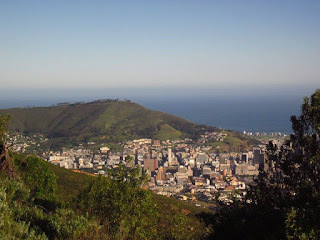 A good fairly steep climb up to the upper contour path below Kloof Corner ridge then along the undulating single mountain contour trail which runs across the North face overlooking the City. Once up on the contour path there are a few modest gradients and most of it is along a single gravel and rocky trail with occasional precipitous short stretches but the route is easy to follow. Distance about 12-14 kms taking more or less about 2hrs 30m. Please note that K-Way VOB club rules do not permit dogs on our runs. Water, whistle, warm/windproof top depending on weather, space blanket, ICE ID - either on your phone, bracelet/tag, card in your backpack. By starting out on a trail run you explicitly acknowledge that: 1] you understand the associated risks involved and accept full responsibility for your own safety. 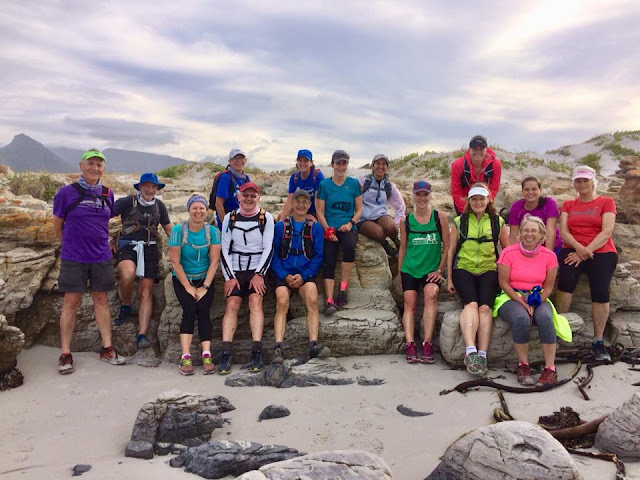 2] you are medically and physically fit to participate and 3] are carrying the necessary water, clothing and safety equipment required for the particular run. Due to popular demand we are about to have our own TM Trailers Buffs made up. Don't delay get it away today! Unfortunately, after preparing her route for this week's run, Jo fell ill and was unable to lead us. 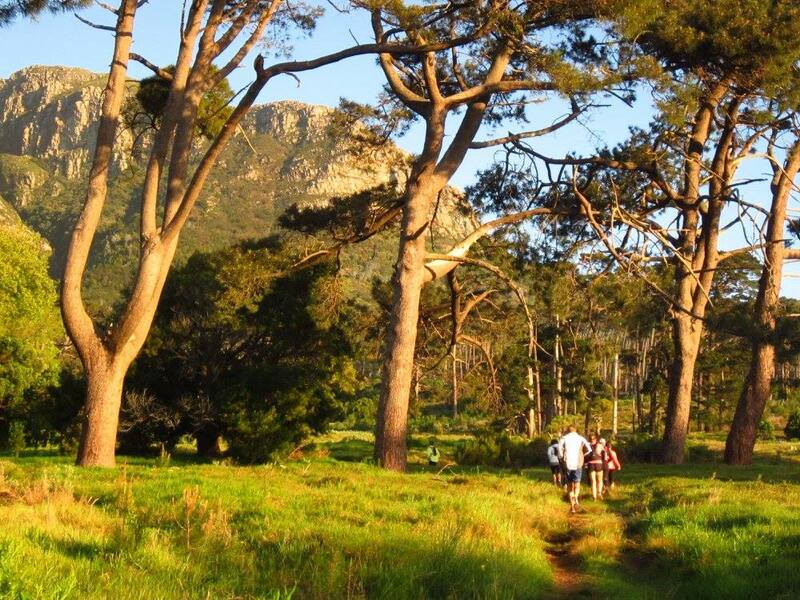 Not to be stopped, a good crowd of runners arrived at the start at the old zoo parking and headed up the off-road trail to Rhodes Memorial and on to Heartbreak Hill. 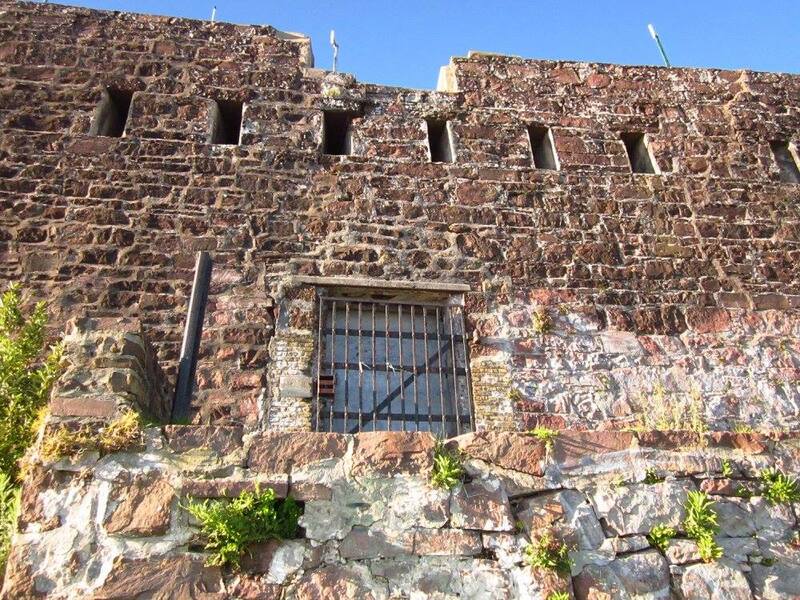 The Medium group decided to take the short-cut steps to the higher level contour path and visited the old blockhouse, while the Relaxed group stuck to the plan and followed the lower path all the way around towards the city before meeting up with the Mediums at the base of the blockhouse. The Speedsters, however, headed off on a wild meander with Tim being dragged along by a couple of champion newbies which led to him finishing in the car park a couple of hours later in a rather exhausted state. 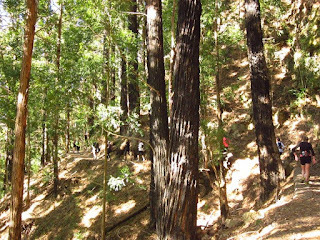 But back to the trail... We all eventually found our way to the single track that leads through the tall shady eucalyptus and onwards to the start of the boardwalks. At the junction just after the picnic table, we headed down to the path to the cars. The mediums did a spot of sightseeing at the old zoo again, inspecting the graffiti in the lion's den and musing on the lot of the poor ol' caged beasts. All in all, the medium group covered only about 9kms and we all agreed that the initial short cut was a mistake because we felt we could have run more. The Relaxed group, having obeyed Jo's instructions to the letter, managed 11kms and were considerably more satisfied with their run. More photos on the facebook page, but a few of the terrain here. This was the Cape Town Marathon Peace Trail weekend and since most of us either failed to secure an entry or didn't want to run with the crowds, we decided to organise our own version of the route from Mouille Point Lighthouse, up Glengariff Road and onto the mountain, returning through the Urban Park. 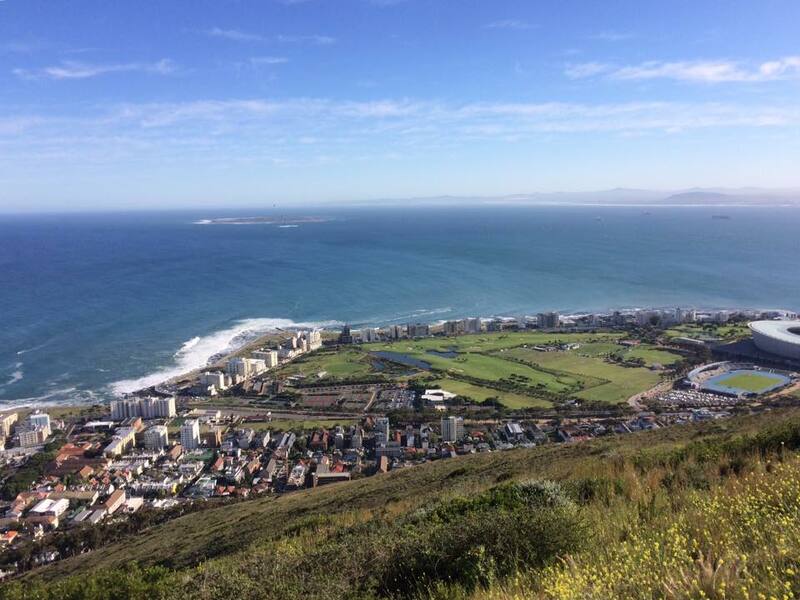 The distance was about 11-12kms with a quick ascent of Lion's Head for the more energetic! 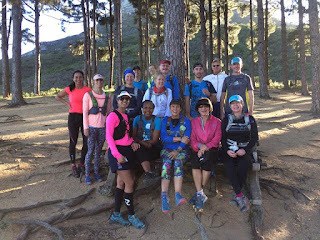 A smallish group of mostly regulars arrived this morning at Constantia Nek for a well loved clamber up the Vlakkenberg steps, on to Picnic Rock and back via Bokkemanskloof. When planning the route, I'd spotted a path on Slingsby's map that I thought we'd never taken before but that led in a sort of square around a slighter lower peak than Vlakkenberg itself and to a viewpoint at the very pinnacle of the peak, and I wanted to see if we could identify it as we ran. There's a camera on the map - and the only thing the Medium group loves almost as much as running trails is taking photos so it was a must-do. Unfortunately, the lower part of the track, marked 'slippery' on the image, was well hidden, perhaps now on the other side of the fence surrounding the vineyards but, sharp-eyed Theo noticed the other end of the path as we ran over the crest of the hill and stopped so that we could regroup and make a Committee decision about whether we should recce it or not. Being the intrepid trailers that we are, we headed off along the track, not knowing how deep it would take us down into the valley before leading to the peak and how much distance and time it would add to our run. We were surprised to come face-to-face with Geoff & crew (Fast group) on the path a few minutes later! Clearly the Fast group has been keeping this little gem a secret from the rest of us! As it turned out, we only had to run some 500m before we spotted the beacon. It was quite windy on this little plateau but we, the Medium group, posed as best we could for our first ever photo at the Vlakkenberg Peak. The views from the top were certainly worthy of the little camera icon on Mr Slingsby's map. We then backtracked, wondering how we could let the Slower group know about our discovery so that they too could summit Vlakkenberg Peak, but failing an instant cairn, we decided that they'd have to wait to read the blog and see the photos. The next few kilometres of this route are some of my personal favourites on this mountain. I don't know what it is about it but I think the almost secret valley so close to home and yet so rarely frequented by locals makes it feel like a sort of Narnia - that magical land just through the wardrobe. It was lovely to see water flowing up there too. We had to dance across a little stream at one low point. 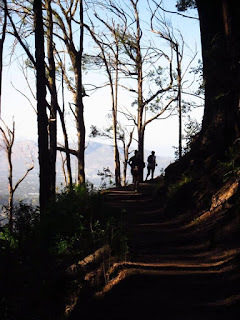 ...we headed back to the four-way crossroads and turned left onto the Bokkeman's kloof trail. Fortunately there were no twisted ankles this time and the run back to the cars was uneventful - unless you count the barking Rottie and his pal at the top of the suburban area. I'm pretty sure his bark is worse than his bite, but I'm always glad to be in a crowd when I pass him! The distance for the Medium group was about 11km in total, including the detour, and we ran for about 2 hours and 20 minutes. The Fast group covered the same distance in far less time :). The slower group time and distance to follow. Thanks to everyone for a lovely Saturday morning. So much for the "cool weather with a light breeze"! It was misty with a strong freezing wind when we all arrived to find out that the Sunbird Centre gate only opened at 8am. Everyone hauled out jackets and waited while Sam played traffic warden and directed cars to the parking outside Silvermine Village. We started off as soon as we could just to warm up and the pleasant run along the golf course helped get the blood flowing. The fast group led by Gregg with assistance from Tim and Mike galloped into the distance. Geoff couldn't make up his mind what group he was in, so he was in the middle just before the medium and slower groups. As we climbed up towards Cave Peak, we entered the misty tablecloth that was blowing over the mountain. We reached the scramble climb without seeing the right rand paths leading to Echo Valley. I phoned the slower group to warn them about the scramble and they said they would discuss it. The scramble was challenging but the group worked together to get everyone up safely. A group photo of a cold bunch of people was taken before we ran through to the amphitheatre on more familiar paths. From the amphitheatre it was lovely flowing running down Old Fisherman's path and then back down Dead Man's path to the turn off back to Sunbird centre. The mist and wind remained for most of the run, so jackets were the order of the day. The fast group were sitting in the shelter of the cars drinking beer waiting for us - just to ward off the cold of course! We were worried about the slower group who took a while to arrive, but when they did they had smiles from ear to ear. They had done the same route as the medium group, including the scramble, and loved it! 27 stalwart trailers gathered under the pines of the Constantia Nek parking area in the cool pre-dawn twilight with the promise of a glorious spring morning ahead. After the customary briefing and a moment of silence in memory of Jeff Shapiro who passed away the previous week, we started the slog up the steep short-cut to Eagle’s nest corner. Here the groups split and the Fast and Medium Fearless groups scampered around the corner not to be seen for the next two hours. 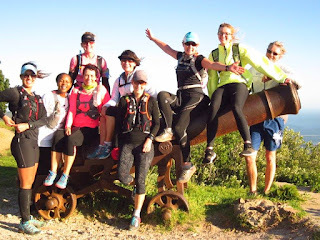 The slow group swelled by those not keen on the steep ascents and descents facing the Fearless groups continued up the concrete track and turned off for the single trail that winds its way through Cecilia and Rooikat ravines through to the foot of Nursery ravine. After pleasant and uneventful runs all returned to the car park to celebrate our 7th Anniversary where a little “bubbly” and fruit juice helped slake our thirsts. Jeannine and Lize-Marick have actually completed 27 sorties but I don't think we ever congratulated them on their 25ths! 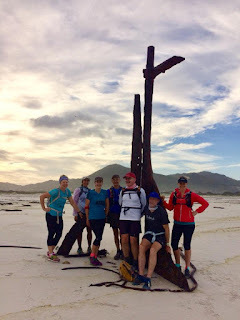 This coming Saturday the forecast is for a glorious sunny day when we can provide a little assistance to the Puffer table as described in Allison's earlier e-mail followed by a spectacular run in the Cape Point Nature Reserve. For those assisting at the Puffer Table please follow the instructions in Allison's e-mail and for the rest please plan to get to the Buffelsbaai parking area by 0730. 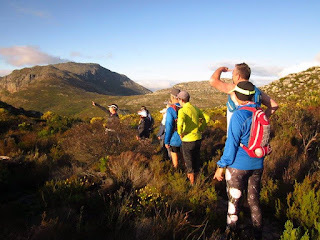 From the Buffelsbaai parking area, a brief jog up the road and then turn right on to the single track that takes us past the Information hut and up to the top of Kanonkop. 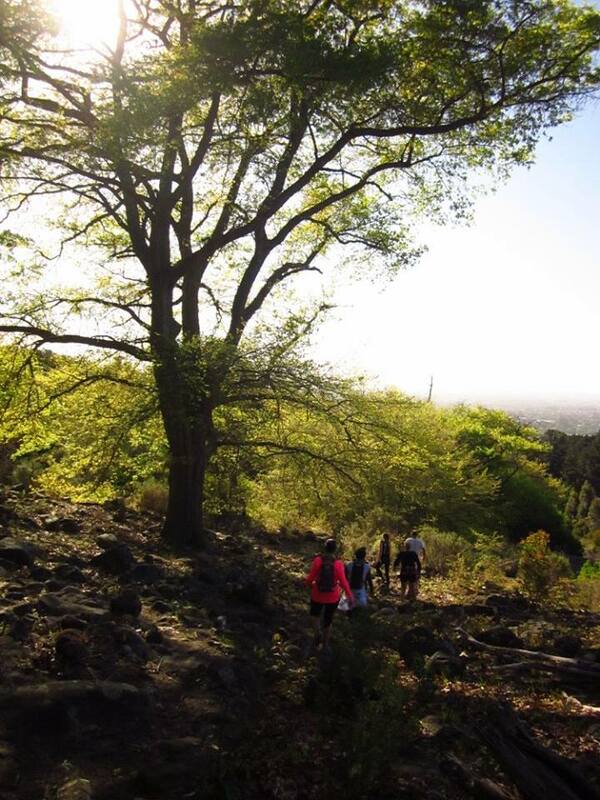 Here the Fast and Medium groups take the trail to the left [northwards] for an out and back jog towards Paulsberg. 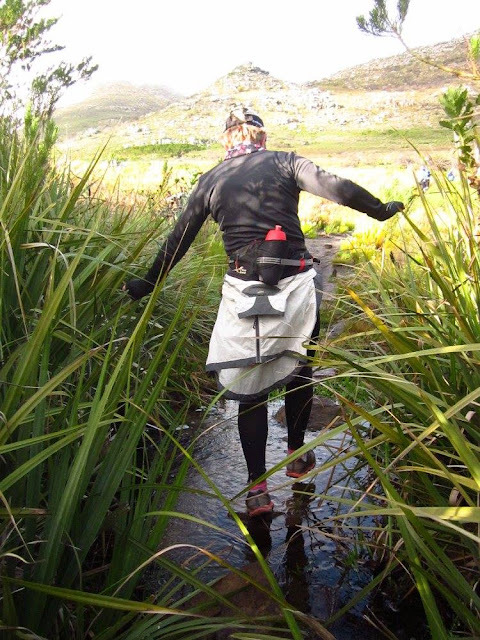 Once back at Kanonkop they follow the same route as the Slow Group. The Slow group will go over Kanonkop and down towards the old limestone kiln. Cross the road and through the small parking area to follow the beach path along the coast that takes us back to the Buffelsbaai parking. RV in the Buffelsbaai parking area in time to start running at 0730 or as soon after when all the Puffer Table helpers have arrived. The park opens at 0600. Please remember your Wild Card/My Green Card or R135 for the entry fee! From the entry kiosk drive along the road for approximately 8km. Ignore the Buffelsfontein and Bordjiesdrif signs and turn off left at the Buffelsbaai sign, drive down the road towards the beach and park at the southern end. A straight forward run with a few reasonably easy hills. 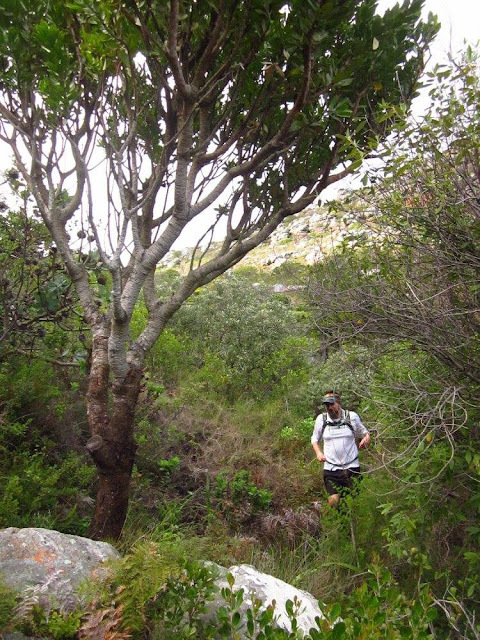 Good single tracks through the fynbos and probably close-ups of zebra, bontebok and others. 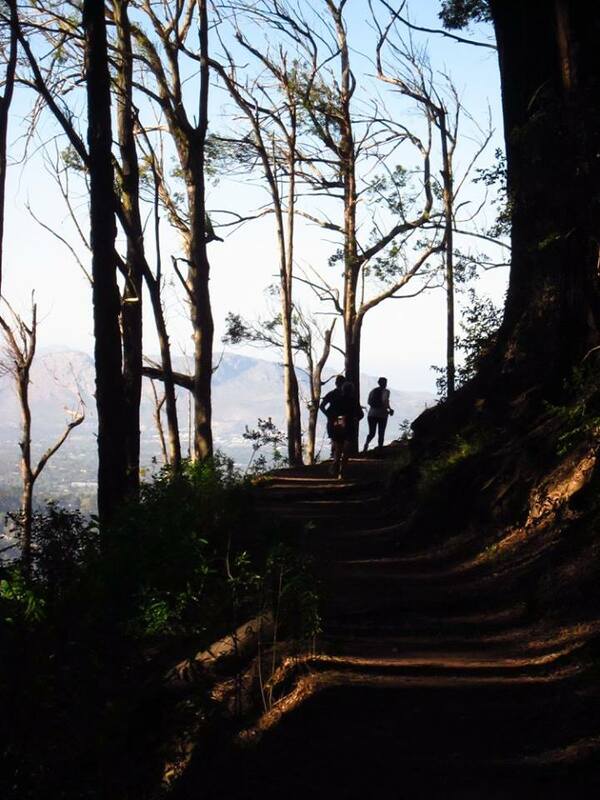 A wee bit of an uphill slog to the top of kanonkop. More or less 12-13 km taking about 1.5 -2.0 hours for the Fast group and 9/11km for the Medium and Slow groups. The TMNP My Green Card is available exclusively to residents of Cape Town, costs R135 and provides the holder with 12 free entries a year into any of the Table Mountain National Park's pay points: Cape of Good Hope (Cape Point); Boulders Penguin Colony, Oudekraal and Silvermine, as well as to the braai and picnic areas at Tokai, Newlands and Perdekloof. It offers fantastic value. You can use the MyGreen Card for up to 6 people at a time - they must all bring ID books. Each person's entry will be clipped off your card. Have a great week and hope to see you all there!